The context of the passage is moral judgment. It is aimed at daily decisions on conduct and choices of how we act in relation to God and other people. The verse preceding verse 5 says "They that forsake the law praise the wicked: but such as keep the law contend with them." The verse following verse 5 states: "Better is the poor that walketh in his uprightness, than he that is perverse in his ways, though he be rich." This is the intent of the judgment and understanding in verse 5. The verse is not telling us that if you will seek the LORD you will be a mathematical genius or that the world will bow at your feet for your wisdom. It doesn't take an Einstein to realize there is a vast difference between the way devout Christians act and the rest of the world acts. The world looks on us as superstitious, self righteous "do-gooders" who don't know how to have a good time and don't want anyone else to have a good time either. 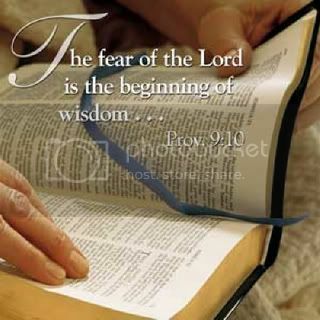 They have never understood the proverb " The fear of the LORD is the beginning of wisdom: and the knowledge of the holy is understanding. "(Proverbs 9:10 ) The world's position too often is that the end justifies the means and therefore as long as I get what I want I don't care who I harm. These folks have no understanding of the judgment of God that will befall them one day. The Christian, on the other hand, knows not only they will face God in the next life but also realize that God judges us daily. In order to have the blessings of God, which are worth more than the wealth of the world we must live a life pleasing to God. Those of us who have sought and still seek the LORD know this. We also know that to disobey God and live an immoral sinful life is to invite God's punishment. Hebrews 12:6-7 For whom the Lord loveth he chasteneth, and scourgeth every son whom he receiveth.7 If ye endure chastening, God dealeth with you as with sons; for what son is he whom the father chasteneth not? Our understanding and wisdom is based on the knowledge of God as He has placed His Spirit within us (John 14:17) to guide us in our daily life. This Spirit leads us into all truth (John 16:13). The evil man knows nothing of the Spirit of God but one day he will. In this world… in His field ? The Sea of glass ? To His children upon this earth ? To souls seeking to be fed ?